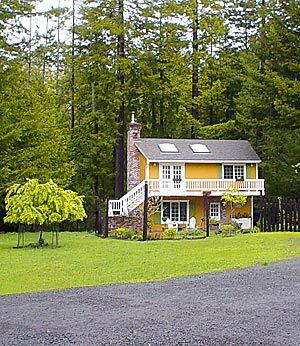 La Petite Maison is located about five minutes from the village of Mendocino, which is a three hour drive from San Francisco. Coastal Mendocino County has some of the most beautiful sea shore, forests, and vineyards in the world. Comptche-Ukiah Road intersects California Route One just south of the village of Mendocino. 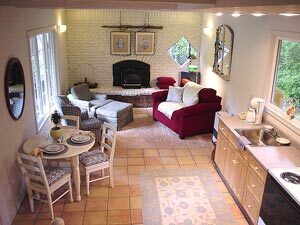 To find La Petite Maison, proceed 1.75 miles east on Comptche-Ukiah Road to Olson Ln. Turn left on Olson and follow it all the way to the end, through the stone pillars, until you can go no further.